GoDaddy, a domain name registry site which you can also use to build your website, is well known for controversial and disgusting ads during the Super Bowl and in their general marketing campaigns. As many other companies are doing in recent years they released the commercial ahead of game day. 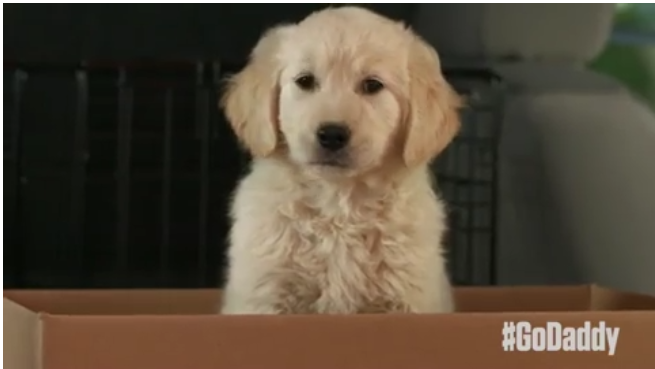 At first glance the ad seemed innocent enough entitled “Journey Home” and featuring a puppy. The end of the commercial however made many upset. The commercial, which has been removed from Youtube and will not be aired during the Super Bowl, can be viewed here. We refuse to host it here because we do not agree with the commercial’s message which while not intentional was not well thought out either. Buddy a cute golden retriever puppy is traveling in the open back of truck with two other puppies which are irresponsibly in an open brown box. Buddy, not in any container, is bounced out of the moving truck landing hard and amazingly without injury in the grass. 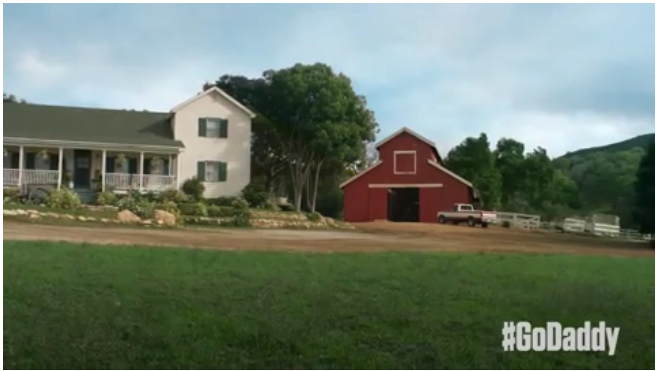 The puppy then goes on what appears to be a long trek over at least one day and night through rain and hardship before reaching a white house with a red barn which you believe is the puppy’s home. 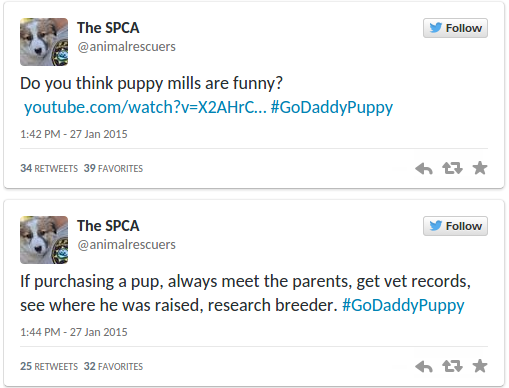 The tone of the ad makes it appear that GoDaddy endorses or encourages the online sales of animals for profit without regard for their welfare. 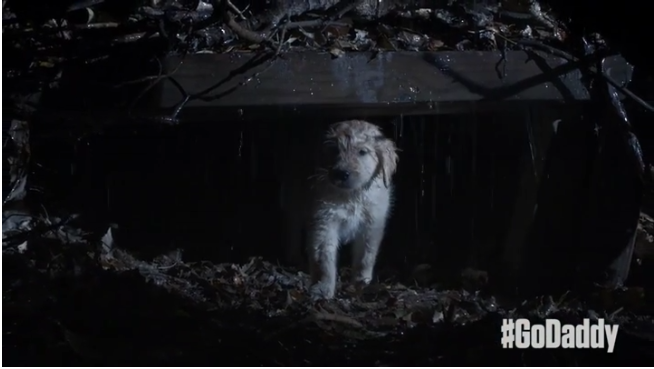 The use of a cute puppy was simply intended as a play on the fact that other incredibly popular Super Bowl commercials from companies like Budweiser have used puppies in recent years, and which Budweiser has been teasing as the subject of their ad again this year. 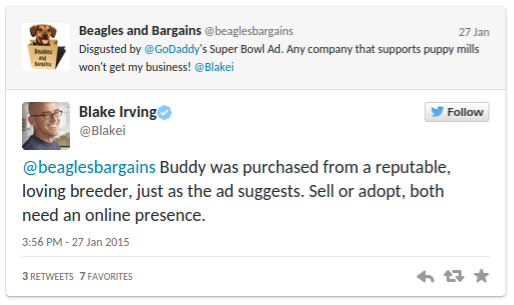 The joking tone/twist at the end was to make light of that for GoDaddy’s own benefit. At first the company defended the ad before realizing how much, and how many, people found their message disturbing. 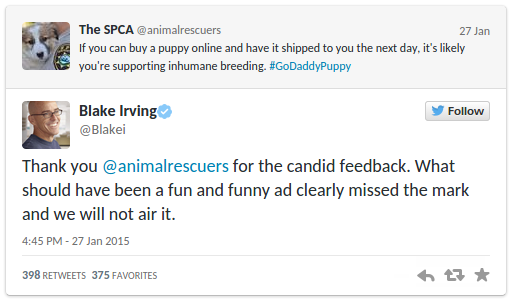 Why yes, these businesses might want an online presence but they should not be treating their business, animals, sales, or shipping in any manner like which was conveyed in this ad spot regardless of if they are a breeder or shelter. Responsible breeders place puppies in good homes which are usually judged for condition first with owners who demonstrate they are ready to own such an animal. They are not simply shipped out to a mysterious new owner immediately, especially in such a short time frame as the commercial suggests. They will also show perspective owners something more than a mere website, like the condition of their facilities and the puppy’s parents. Shelters also benefit from background checking prospective owners, checking the fit of a dog with potential adopters, checking dogs for potential behavioral problems and making that information available before adoption, and overall showing an interest in making a good placement in a responsible home over just making money. 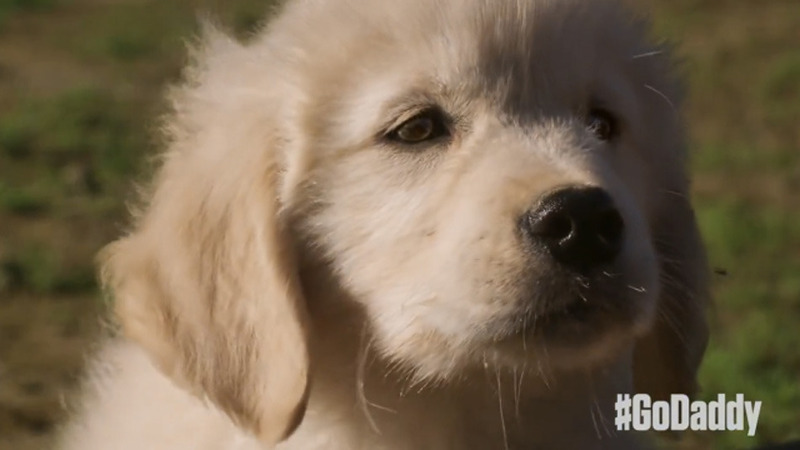 This morning we previewed GoDaddy’s Super Bowl spot on a popular talk show, and shortly after a controversy started to swirl about Buddy, our puppy, being sold online. The responses were emotional and direct. Many people urged us not to run the ad. I wish more companies would listen to the response of the public in regard to what impact they are making in the world! 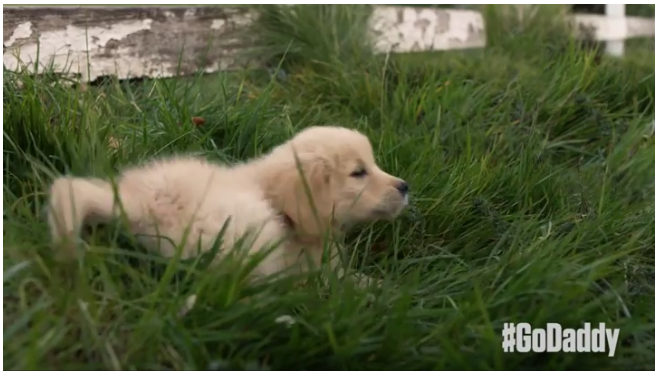 I also appreciate that the puppy in the ad was sourced from a responsible breeder and found a loving home in a manner much better than what the dog had to go through it the ad that made him famous. 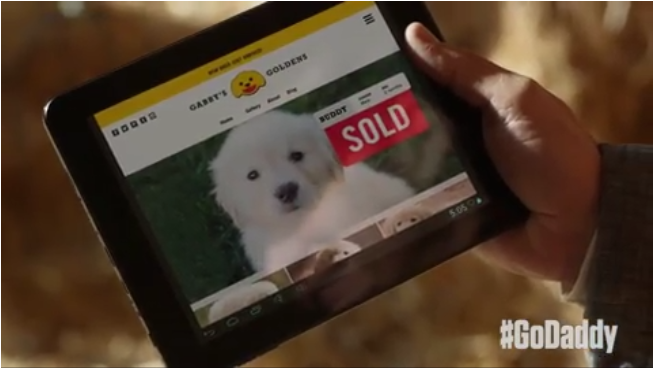 GoDaddy has made a lot of commotion in the past and had to back pedal a lot – for how they use women in their ads online and in commercials – and now for how they portray animal welfare. I hope this will make them think before they decide what to do in their next commercial. It would be great for them to do something endearing, encouraging, or actually funny and not disgusting or distracting. They will need to make more improvements before The Human ever gives them any business because they keep making the same marketing mistakes. What do you think, was it a good idea to pull the ad? Is the ad really as bad as it seems, or is it just funny? 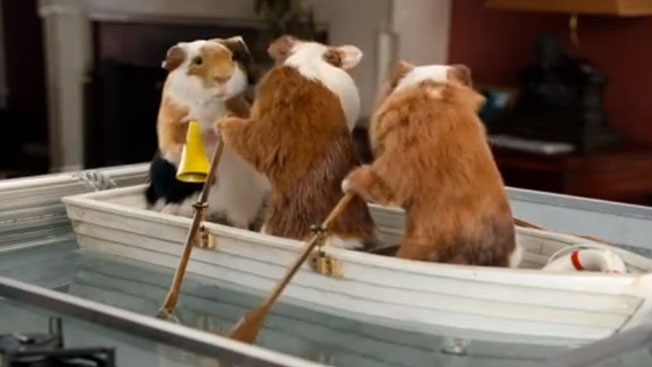 Continuing with the theme of some of my favorite animal commercials, I remembered a Snapple commercial I saw a long time that was hilarious. I searched youtube, and there it was! Enjoy!